A great book to read when travelling, when you want something to dip in and out of. 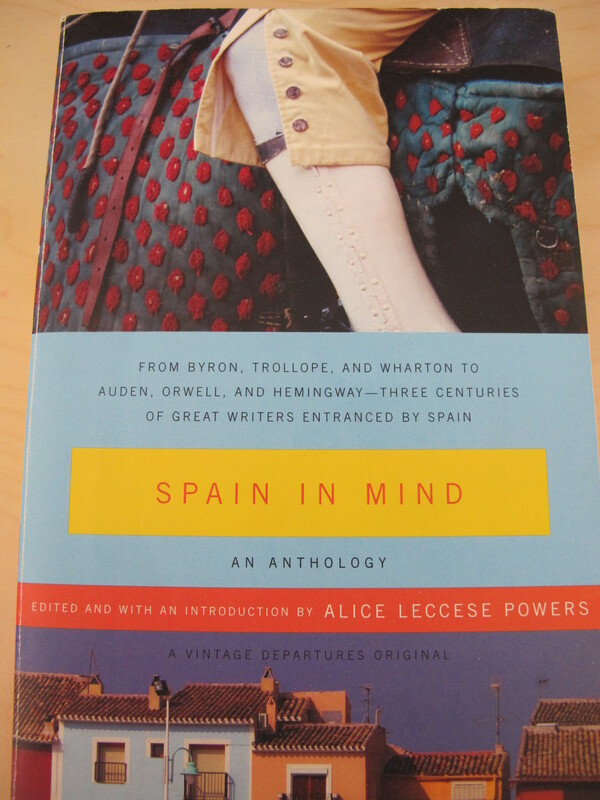 There are poems, travel pieces, essays, short stories and letters from everyone who has ever written of Spain that you have heard of: Orwell, Hemingway, Stewart, Irving, Brenan, Morris, highbrow, lowbrow, and some you didn’t know about. I challenge you to read this and not want to visit Spain. My highlight? A poem. ‘Candle Hat’ by American poet Billy Collins, about artist Goya wearing a hat decorated with candles around the brim to illuminate his work by dark, giggling with his wife. This entry was posted in Books about Spain and tagged book review, Chris Stewart, Ernest Hemingway, Sandra Danby, Spain, spanish finca, travel writing on June 6, 2013 by sandradan1.